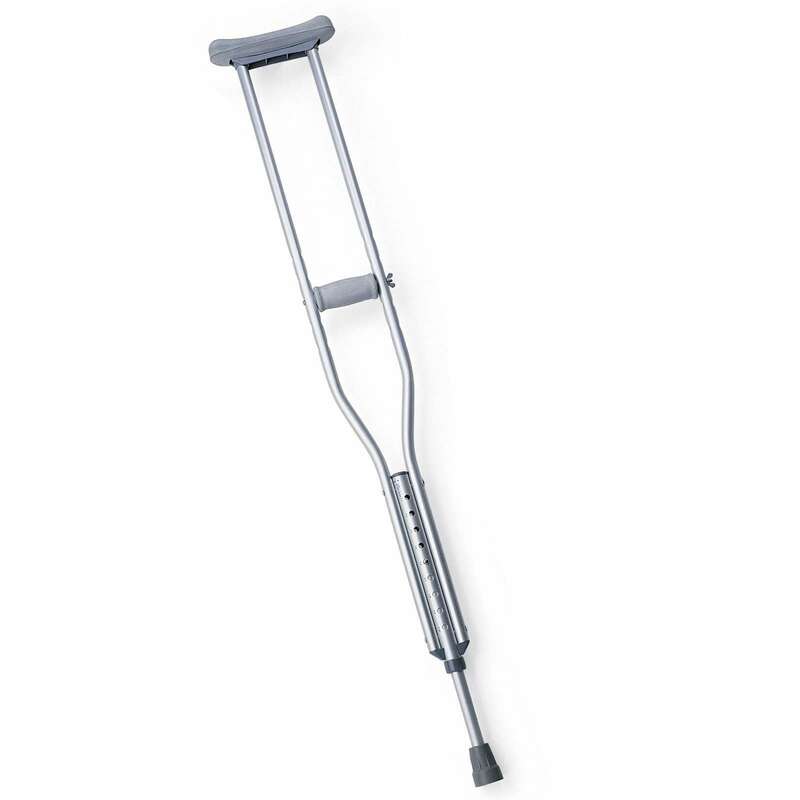 Leg amputees (upper or lower both) may use a crutch while playing which must not extend the players' natural height from the armpit to the ground. 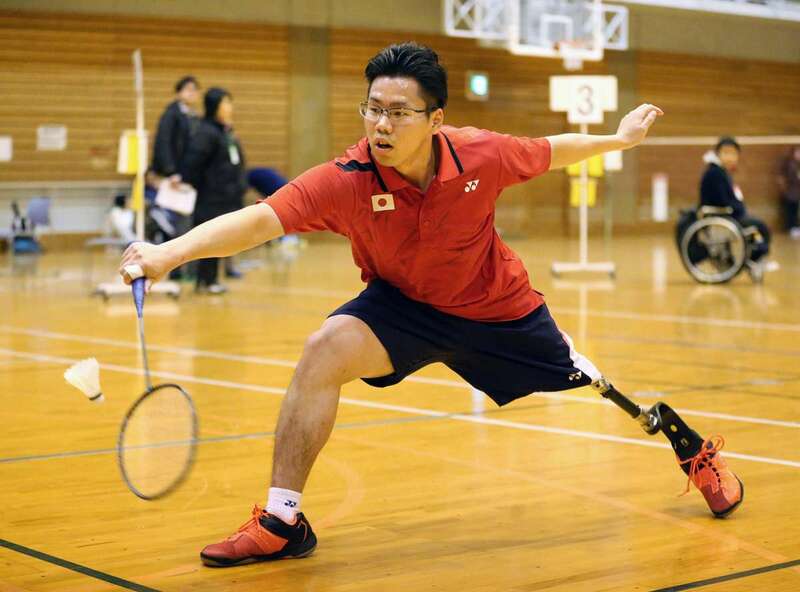 Other equipment, uniform and protective gears used in para-badminton are same as those used in the sport of Badminton. Amputee players belonging to categories SL3, SL4 and WH may use a prosthetic limb; for category SU5, these are not allowed. 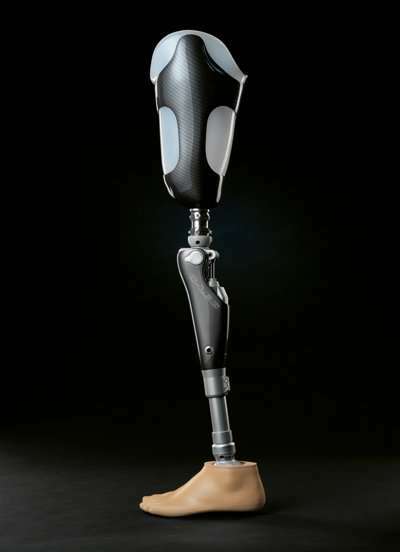 The prosthetic limb must be of the same length as the players' existing limb and in proportion with the players' other limbs. 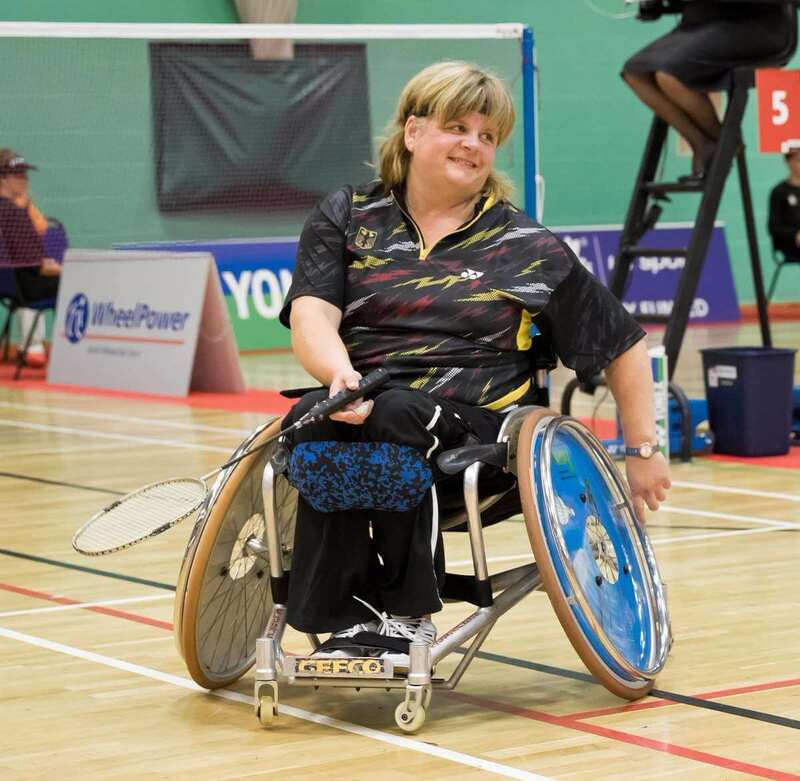 A player's body is fixed with the wheelchair with an elastic belt or a strap around the waist and/or across the thighs and feet must be attached to the footrest of the wheelchair. 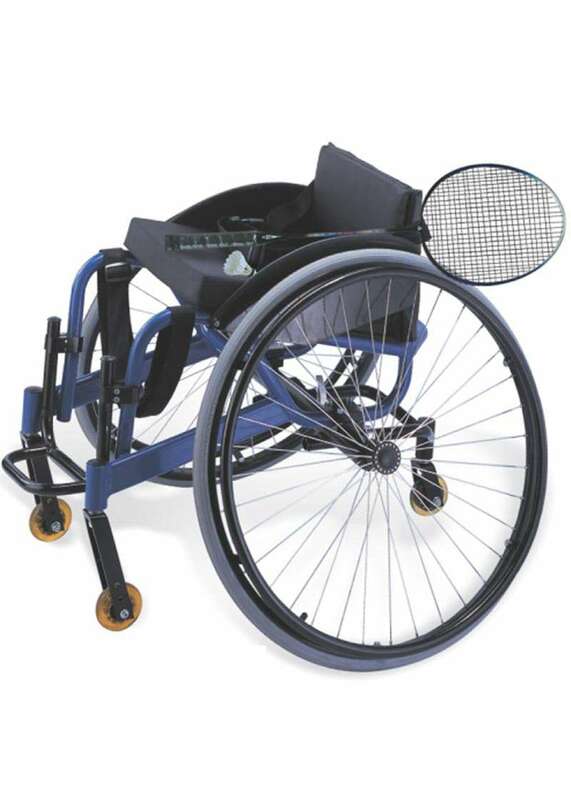 A rear supporting wheel may be attached to the wheelchair which may extend beyond the main wheels.